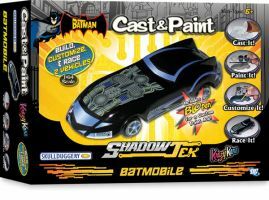 This Cast & Paint kit has everything you need to make two custom matchbox sized Batmobiles. Cast them, then paint and decorate them the way you want with the included paints and decals. Try racing them against your other cars, or on your matchbox-sized tracks!